In an inauguration ceremony in Delhi today, BSNL announced launch of range of ‘Bharat Phones’. The range includes a feature phone, a 5” smartphone, 6.5” phablet and 7” Voice-Calling tablet. 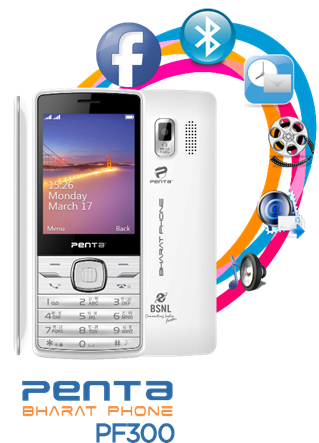 Penta Bharat Phone is an affordable 3” Dual Sim JAVA enabled feature phone. Though a feature phone, it has been optimized for internet browsing and has in-built features like Email, Facebook, downloading of music and videos, and Java games. PentaBharat also boasts a 1.3 Mega Pixel rear Camera; Bluetooth, a 1800 mAh Lithium-Ion battery that delivers upto 8 hrs of talk time and 15 days standby time. Among other things, PentaBharat Phone supports Auto Voice Call Recording; SMS Scheduler and Stereo FM & Recording. This device comes pre-bundled with 1200 minutes of talk time on the BSNL network. 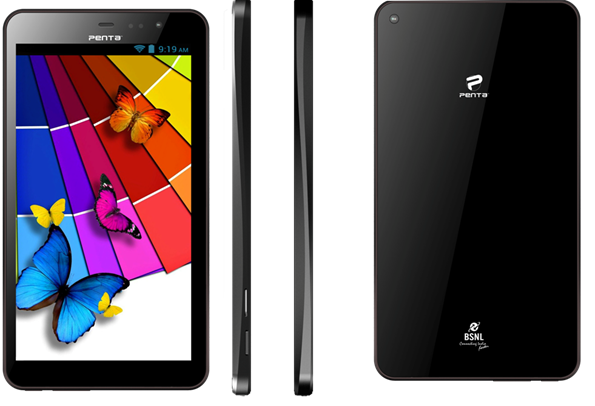 The PentaSmart PS650 is a 3G Android phablet having 6.5” screen and 1.2 GHz A7 Dual-Core CPU and MALI 400MP GPU. The device comes with 512MB RAM & 4GB internal storage; and a 2500 mAh battery supporting 100 hrs standby time. PentaSmart is loaded with Android 4.2.2 Jelly Bean OS and comes with 2mp rear camera that supports HDR recording, image stabilization etc. The phablet also has an inbuilt video calling facility. 3GB of 3G Data and 300 mins of talk time comes FREE on the BSNL network along with this phablet. The Penta Smart PS501 is a 5” IPS display Android smartphone that has 1.2GHz A7 Dual-Core CPU with 512MB DDRIII RAM and 4GB of Internal memory. The smartphone has a 5mp rear camera and VGA front camera for video conferencing. Apart from regular connectivity options like 3G, wifi, GPS, Bluetooth, Hot-Spot etc. the phone has a 3D Photo Viewing, 3D Video Playback feature. Penta T-Pad is a 7” voice calling 3G Android tablet with Dual-Core CPU with an independent graphics controller. One of the standalone features of this device is the multiple user-environment on a single tablet PC allowing each user to set his own screen interface and personalized applications. The tablet comes pre-installed with latest applications like Spuul, Flipboard, Facebook, Skype, Daydream, Documents-to-Go, Aldiko e-book reader, etc. 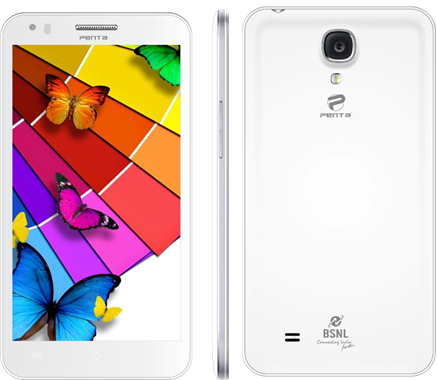 Penta T-Pad WS707C works on latest 4.2.2 Jelly Bean Android version with 512 MB RAM and 4GB Internal Storage, and, like other devices comes pre-bundled with 3GB of BSNL Data and 300 mins of talk time. Like mentioned previously Bharat phone range are devices are very affordable, and they may find many buyers on BSNL network!